Work From Home Warnings No Website Millionaire Review – Emphasis On “No”. It’s been a while since I’ve reviewed a program like this. No Website Millionaire is one of those classic products that targets those who know nothing about making money online, and preys on their ignorance. You’ll hear how easy it is, how you don’t need a website, how you can just “plug in” to an income stream or three and be earning money overnight. The product creator “Travis” goes to long lengths to explain to you how he discovered this method for making money. It’s incredibly deceptive, since it is selling you on simplicity and ease of use, yet he doesn’t even explain it to you. As a general rule of thumb, if something doesn’t mention exactly what it is, it’s going to be a load of rubbish. They just play on your emotions and gloss over everything else. No Website Millionaire is no exception. Watching through the sales video (which really seemed to go on forever), I felt sure that I had stumbled across another one of these “questionable products” that litter the Internet. I was confident that I would be able to check out the product and expose all its flaws within minutes of looking inside. I’ll tell you one thing, I wasn’t wrong about the product’s legitimacy, it definitely is a load of old rubbish, but it took me ages to get to the bottom of exactly what it was. I’ve never seen “smoke and mirrors” used this effectively before. On several occasions Travis even goes so far as to say “Don’t worry about what it does, just know that it works”. When you buy the first (of many) “No Website Millionaire” product, you’ll still have no website, but you will also still not be a millionaire. You’ll also be exposed to no fewer than FIVE up and down sells. One-two-three-four-five. The first upsell is for $197 and is an uber-mega-shortcut-“steal my income stream”-thing. In fact I don’t really know what it was. It was just really cool and I was supposed to buy it. I didn’t. Next up was a downsell. It was the same product, but for only $97, and with the promise that I was crazy for not taking him up on the offer. After I clicked the “Yes, I know I’m missing out” button, I was exposed to a third upsell, this time for $297. This one was promising me loads of automated traffic to my offers. I still didn’t know what the offers were or how I would be making money, so I decided to pass. Big mistake! On the fourth page I was offered a downsell for the same product for $197 telling me how crazy I was for not buying it for $297 a few seconds before. Wait, surely I would have been crazy to buy it for $100 more? I’m still confused over that one. So the fifth and final upsell (well, final upsell in the initial stages anyway), was for a website and hosting and all that stuff he said we didn’t need. I thought it was called No Website Millionaire? But you can have a website if you want. I guess www.optionalwebsitemillionaire.com was taken already. When Does The Money Start? If you and your wallet make it through the gauntlet into the members area, rejoice! You’ve now only got to waste about 30 more minutes of your time. There are only 3 steps left to do, and luckily for all of us, the third step is just waiting for commissions. Infinity isn’t a long time to wait right? Step one is to sign up for Internet Lifestyle Network, which isn’t working anymore, so you’ll need to sign up for PureLeverage, which is actually Infusionsoft, which is called Speed Wealth System (Infusionsoft is the only real name, Travis has created the other two as a way of getting commissions from us). Travis uses all three names interchangeably and tells us we don’t really need to know about the name or what it does. It’s a platform and we’re going to be promoting it basically. We signed up (and bought) Infusionsoft and now we are going to be promoting it. Infusionsoft is just promotion software. 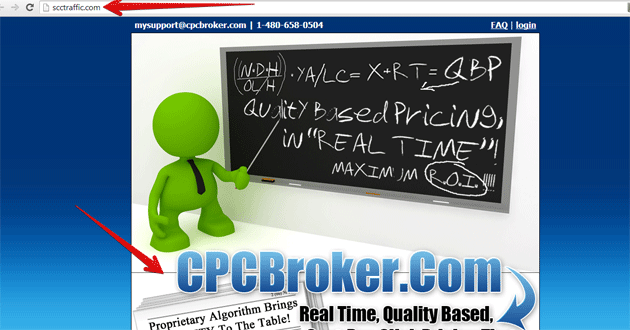 It’s like Aweber or other affiliate programs. It will cost you more money to buy, so I hope you saved some in your wallet after all those previous upsells. Essentially what Travis is doing is getting you to buy Infusionsoft through his link, so he gets more money out of you, then getting you to promote it to get your commissions. Obviously you won’t really make any commissions though, more on that later. You just expect to copy the link he tells you to copy, promote it how he tells you to, and make money? You don’t even know what it is! 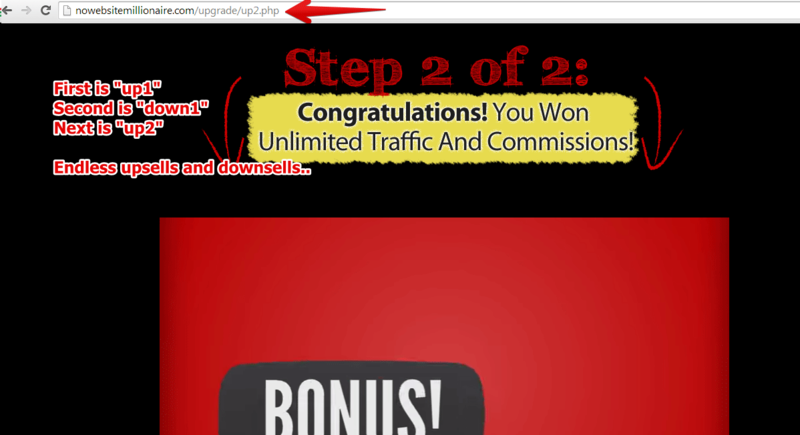 For step two, you are directed to buy traffic to your promotions from some “really simple easy to use traffic guys”. You’ll go to some crappy sales page where the name and the domain don’t match up because they’ve changed domain so many times to avoid being called scams. Once you’re there, you’ll pay for some traffic. What that means is, you’ll say “Hey here is the link I want to promote, here is the money, please send loads of traffic to this link offer”. What kind of traffic is it? Where is it coming from? Are they people who are interested in my offer? Do I even know what my offer is really? Is this traffic even real? None of the above questions are answered. Obviously the traffic isn’t real, it’s just robots (automated programs designed to look like visitors). You will receive “hits” to your links, but no-one will buy anything, because they’re robots. I know all about these BS traffic buying products, so it’s pretty clear to me to stay away. Just to make it clear to you, anyone who promises to send a load of traffic to your site but doesn’t tell you what kind of traffic it is is lying. Equally, how do you expect to just convert random traffic? Have you ever been randomly directed to something and bought it? There are lots more “advanced” things for you to try. Once you’ve failed to get any sales using the quick start method, you can follow some links to buy more marketing software. This is LeadPages, GetResponse, and various others. You’ll think that you’re creating an awesome offer and a sales page designed to really get some cool sales. Remember, your traffic is robots, they don’t care how pretty your sales page is. This is just another chance for you to buy stuff and earn Travis his commissions. Wow, he really is becoming a millionaire. He has a website though. All No Website Millionaire is going to do is lead you blindly through offer after offer until you’ve spent all that you’ve got. There will be so many different places for you to have to get a refund from, that Travis is sure to end up keeping some of it.